Barrington Handyman Services – Let Us Do It For You! Handymen & Mrs. Helper offers a broad range of professional repair services for your Barrington home. We are highly skilled and experienced. 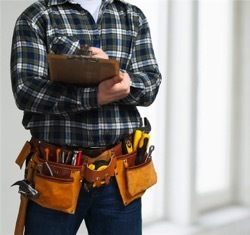 Our trustworthy HANDYMEN will fix, repair and improve your property beyond your expectations. HMMH has a strong focus on reliability and affordable rates. When you choose one of our HANDYMEN, you can trust that the job will be done right. We know your time is valuable and we make it convenient for you to use our home maintenance services. CALL the office and let us complete those jobs you don’t have time for and our Barrington Handymen will do it for you. Interior, Exterior, Kitchens & Bathrooms, Flooring and more – we are your go-to local handyman that can help save you time, while also increasing the value and comfort of your home. Below you will find a list of commonly requested home repair services. Choose HMMH-KB and get your job done right from start to finish. Our Craftsmanship will exceed your expectations. We offer a wide variety of services at a price you can afford. Call for a quote! We are an experienced industry leader since 2003! Arlington Heights, Barrington, Hoffman Estates, Palatine and beyond – we serve the Chicago Suburbs and surrounding Chicagoland area.